A few years ago (1998!) I heard Rem Koolhaas lecture at the Illinois Institute of Technology. He spoke at length of his appreciation for the Soviet Constructivist architects of the 1920’s and ’30’s. that its form reminded me of something. It just came to me what. 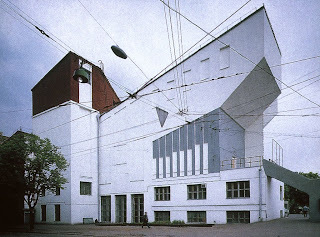 Konstantin Melnikov’s Rusakov Club for Transport Workers (1927 – 1929). A building of the sort Rem lauded in his talk. 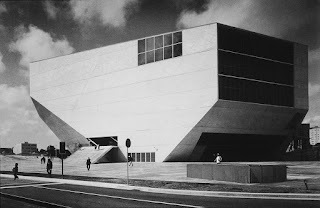 And inside both buildings are auditoria. More on Melnikov worth reading.